The Sun’s gone into the sign of Leo now. 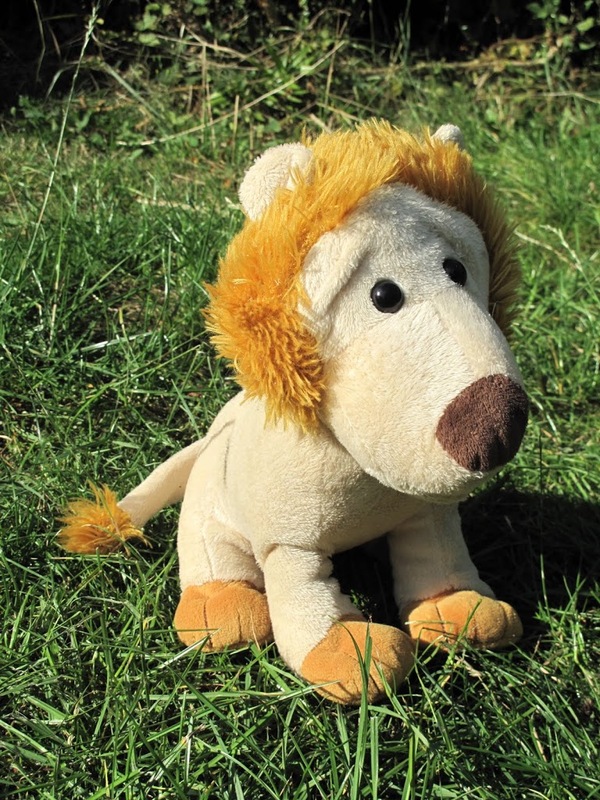 It’s full summer, the time of the Lion, as hot as it gets in the Northern hemisphere. Leo is a fire sign of course and its ruler is the Sun, by far the brightest thing in our solar system. No wonder Leos have a reputation for loving the limelight. In my experience this is one of the Sun signs that’s easiest to feel. Often Leo Suns are the people who can change the energy in a room as soon as they enter – for better or worse. If you have any other planets in Leo in your own chart, they will be feeling the warmth of the Sun now. Leo is the sign of fixed fire, so that burning fiery energy is at its most intense. In astrology, each sign in the middle of a season is called “fixed”. It expresses the energy of that season unequivocally. These signs are Taurus (spring), Leo (summer), Scorpio (autumn), Aquarius (winter). They correspond also to the four directions – East, South, West and North. The fixed signs are also the same as the symbols used in churches and in scriptures to represent the four gospels. Matthew (the bull or ox), Mark (the lion, pictured left), John (the eagle, which is sometimes used instead of the scorpion for Scorpio), and Luke (the man). The astrological sign of Aquarius is represented by a man carrying water, but it is recognisably the same symbol. 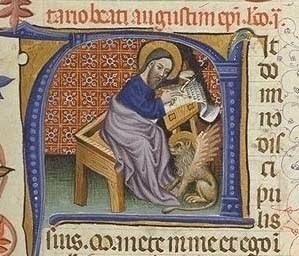 Here is a Doge kneeling at the foot of a Venetian lion. 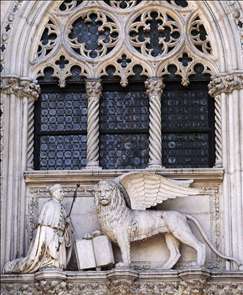 Venice’s patron saint is St Mark, of course. On a personal note, you may feel the energy of the season quite powerfully if you think of the month of the Lion as “fixed fire”, stasis and heat. If you can still yourself and focus on the month’s energy, stop and enjoy the heat of high summer.